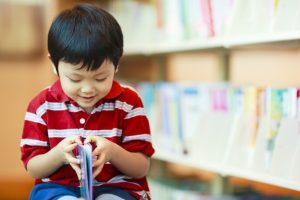 Chinese Storytime at Johnsonville Library! Come and join us for a fun and interactive Mandarin Storytime with Chinese stories, songs and rhymes. Children and care-givers who speak Mandarin, or use Mandarin as a second language will love these sessions. Friday 16th November at 10.30am and will continue on the third Friday of each month. Session will run for 30 minutes. Friday 21st September at 10.30am and will continue on the third Friday of each month. Friday 20th July at 10.30am and will continue on the third Friday of each month. Join us on Thursday 7th June at 6pm for our next Stories @ Six session at Tawa Library. This month come and listen to some heart-warming stories about “Family” by Tawa local Tracey Bennet. Wear your PJ’s and bring along your teddies!!! Tawa Library is open until 8pm on Thursday so plenty of time to issue books afterwards. This is a free event suitable for all the family to enjoy with sessions running for around 30 minutes. Fairy Tales with a Twist at Khandallah Library! Have you ever wanted to put together your very own fairy tale plot? Or test out your artistic skills in creating your own fairy tale character? Come on down to Khandallah Library on the last Thursday of the month for an awesome evening of fairy tales featuring the characters you know and love, and finish up by writing your own tale or drawing your own character! We would love to see you there. 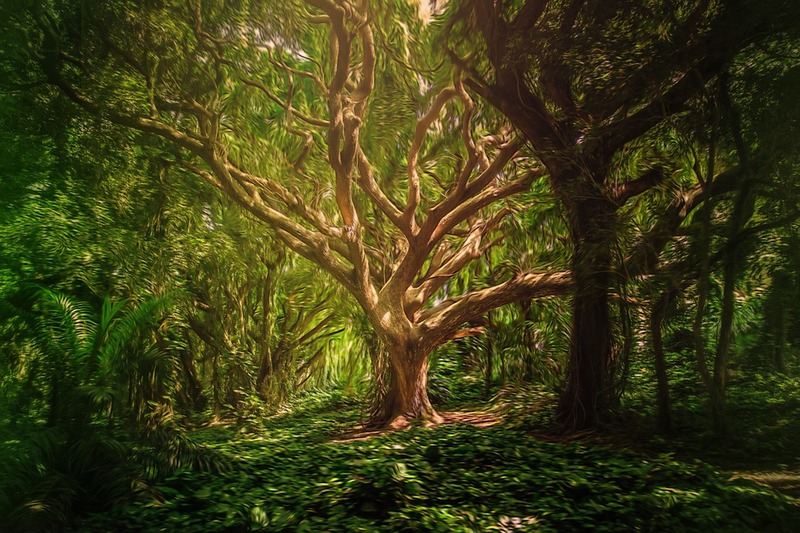 What stories could be playing out in yon trees? At Khandallah Library, we host special events for children and their families on the last Thursday of each month at 6:30pm. Keep an eye on the Kids Blog and the library noticeboard to find out more! For the first time ever New Zealand is joining with Australia for an international storytime. Hickory Dickory Dash by Tony Wilson will be read simultaneously -at the same time- across both countries. You can join us and take part at Wellington Central, Johnsonville, or Mervyn Kemp (Tawa) Libraries at 12.30pm on Wednesday 18th May. At Wellington Central and Johnsonville Library events there will be a live video feed to libraries in Canberra in Australia -Cool! You will have the chance to wave and giggle with children in Canberra and ask them lots of questions. At 1pm Hickory Dickory Dash will be read aloud by a special guest reader, with the children in Canberra listening too. Don’t miss out on this exciting historic event. All are welcome, bookings aren’t required. Friday 18 May at 10.30am and will continue on the third Friday of each month. Come to Khandallah Library on the last Thursday of each month at 6pm for fun, family-friendly themed activities for kids and their families. On Thursday the 30th of March, we’re having “Family Fort Night” – bring your pillow and your favourite teddy and help turn the children’s area into one giant pillow fort for the evening. They’ll be stories, songs and activities so come in your PJs, if you’re feeling extra adventurous! 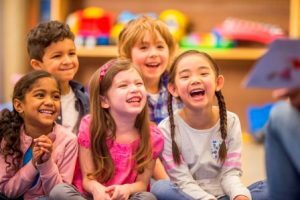 These are fun events for children of all ages and their caregivers. Keep an eye out at Khandallah Library for more information or ask any of our friendly librarians! You and your teddy are invited to a very special late night story-time on Friday 3rd June at 6.30pm at Johnsonville Library. Your teddies will have the opportunity to have a sleep over right here in the library! (Sorry , no children can sleep over – teddies only). 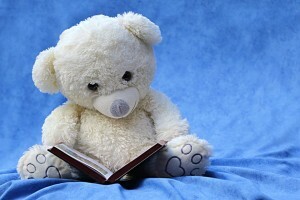 Then on Saturday come back and collect your teddy and discover what adventures he had during his night in the library. Come in your pyjamas or dress-up like a bear and be ready for lots of stories and fun! Don’t forget to bring your teddy! Ho Ho Ho! Get your stockings ready… Christmas is coming! 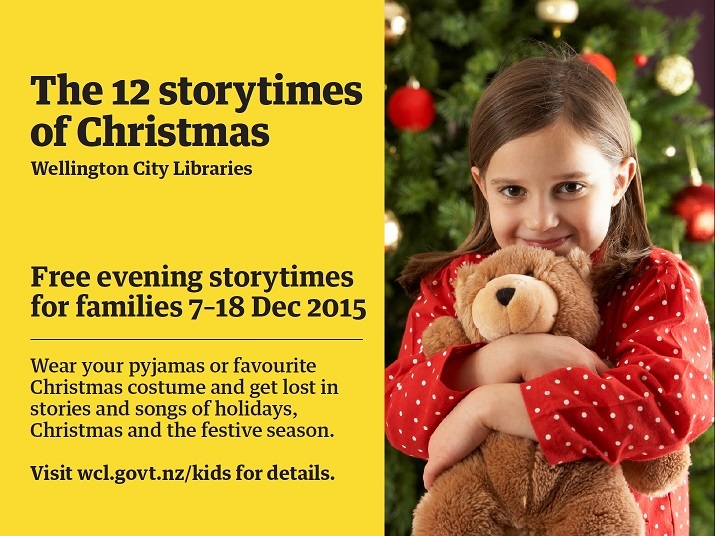 We want to get in the festive season with you at our 12 Storytimes of Christmas. Catch a sleigh ride into your local library between December 7th and 18th for a special festive family storytime. 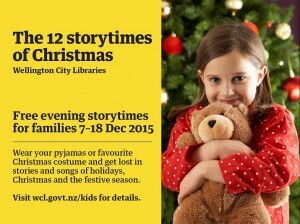 Come in your pyjamas or favourite Christmas costume for songs, stories and fun for the festive season. 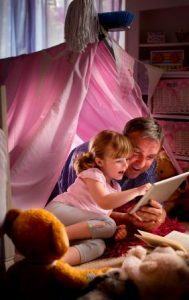 These storytimes are free, and perfect for the whole family. No bookings required.